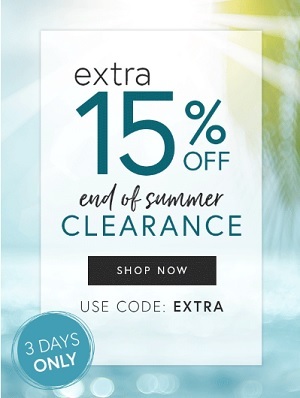 Enter the promotion code EXTRA during the checkout and you will receive the extra 15% discount on your purchase. Offer is valid online only, until August 20, 2017. Source of the information is U.S. Perfumania. For more details about the offer visit U.S. Perfumania online.